Plot Summary: At the end of the second book, Clary discovers that the only way to save her mother’s life is to go to Alicante, the City of Glass. But Jace has other ideas. He thinks the trip will be too dangerous for Clary. When the former, (and the rest of the gang), leave Clary stranded in New York, she takes matters into her own hands. She finds a way to Alicante—and there, she discovers secrets about her family’s past. She also meets Sebastian, an intriguing young man, who Clary feels inexplicably drawn to. Meanwhile, Valentine’s doing everything he can to take the Shadowhunters down—and this time, it looks like he succeed. Let me start off by saying, ‘Welcome back, Cassandra Clare!’ For a minute there (reading City of Ashes), it felt as if Ms. Clare was rushing to meet several deadlines and just packing clichés and old material into her ‘new’ books. 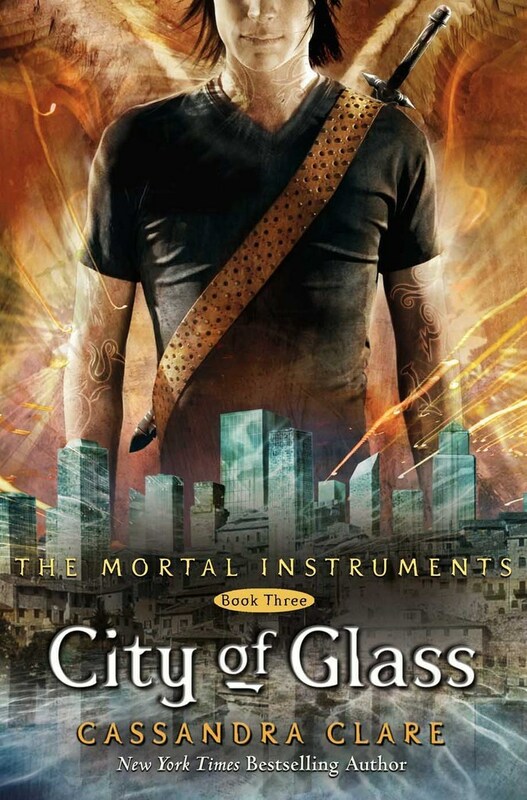 The good news is that, compared to its predecessor, City of Glass offers more, in terms of character development and plot depth. Granted, Clary still hasn’t grown into the strong female protagonist she can be, (a matter of turning potential into the actual, I assure you), but you see a semblance of maturity in her actions in this book. In one particular scene, wherein she rushes recklessly into the unknown, only to risk her life and Luke’s, she actually feels guilt over her brash actions—especially after Luke berates her for her thoughtlessness. She also plays a pivotal role in making sure things turn out well for Luke in the end, which one can consider a thoughtful act. However, I think the opportunity to improve her further—to turn her from besotted child to thinking woman—has also been thwarted by the introduction of another potential romance . I don’t know… but must romance always cloud one’s vision? To be honest, I feel as if romance is Clary’s ultimate weakness. I don’t know how she finds time to find a boyfriend, make out with a brother or two, while saving the world and trying to find a cure for her mother’s magical coma. (Whatever happened to focus?) And no, saving the day near the end of the book with a superpower that would make any team virtually unbeatable won’t make up for all the bratty episodes the reader would have to plod through. In the end, rune-making and casting felt a bit like a cop out. It’s too much, too good—a step below deus ex machina. And yet, I still enjoyed City of Glass. I enjoyed the book, because despite all this, it remains gripping, promising. It has tremendous potential for greatness. Plot-wise, there’s a uniqueness to it. The major twist in this third book offers clarity to the story while opening the possibility of a ‘new’ direction for the succeeding books. It really is a good plot. It’s just that, at times, the execution feels rushed. The plot suffers with what sometimes feels like formulaic writing. Not that I have anything against fictional love triangles, but the sheer volume of triangles in this book is also starting to become confusing: Jace-Clary-Simon, Aline-Jace-Clary, Jace-Clary-Sebastian, Isabelle-Simon-Maia, Luke-Jocelyn-Valentine, Celine-Stephen-Amatis—am I missing anyone else? In the end, I feel that this is the type of book one ought to read if you’re already hooked on the Mortal Instruments Series. But if you’ve already had your misgivings since City of Bones, proceed with caution.